Singer and multi-instrumentalist Annie Rettic has played for over 100,000 people over the course of her musical career. A national performer, she’s played in such venues as Chicago’s ORCHESTRA HALL, and the BLUEBIRD CAFE in Nashville. 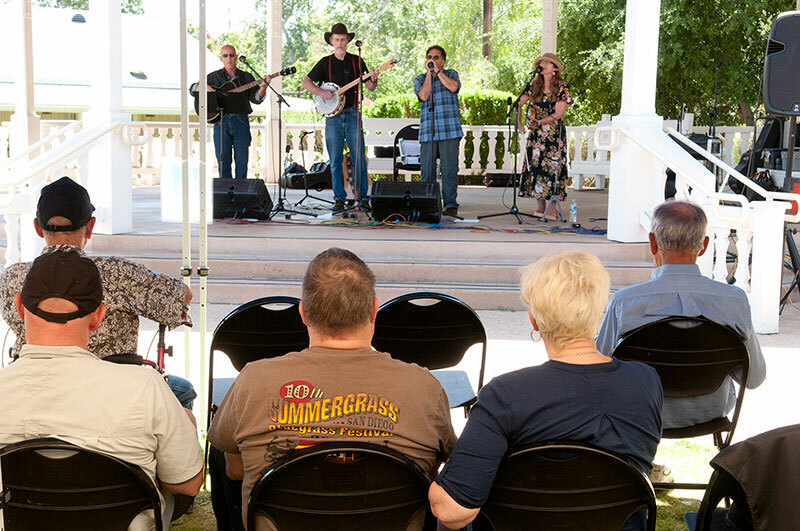 Since arriving in San Diego, she has graced the stages of the House of Blues, Jimmy Loves, Templar’s Hall(San Diego Folk Heritage), and the Athenaeum; and played in many FESTIVALS such as Adams Avenue, Poway’s Train Festival, and Julian’s Christmas Festival, sharing stages with Gregory Page, Joel Rafael and Sara Petite. Her CLIENTS include Sharp Healthcare Systems, Jada Sailing Charters and Epic Festival of Beers. Annie has been a finalist in Songwriting Contests in 2008, 2011, and 2013. Steeped in Classical music since birth, Annie began Viola lessons at the age of 10,playing in school orchestras and ensembles. She also sang at an early age, in the choir of the church her family attended and harmonizing at home in duets and trios with her sisters. In high school she began voice lessons. Finding a natural aptitude for languages, she studied French and Russian, and sang songs in those languages as well as Italian and German. She continued her musical studies at Northwestern University in Evanston, IL, graduating with a Bachelor of Arts in Vocal Performance. While at university, Annie was captivated by the music of the folk artists she heard on her friends’ stereos, and her music began turning in a different direction. She heard beautiful melodies coupled with moving lyrics in her own language, and knew that the people she wanted to reach and inspire with her music were not to be found in big cities attending grand productions in foreign languages. The songs of Joni Mitchell, Joan Baez and Judy Collins especially moved her; she counts these 3 artists among her strongest influences. Carole King, James Taylor, Donovan and Bob Dylan were among many other troubadours who moved her onto a new path of discovery and self-awareness. Realizing that she didn’t want to live the urban rat race which was necessary to pursue a career in Classical music, she moved to the country, married and bought a 40 acre farm. As they raised their 2 children on organic vegetables and fruits, goat’s milk and homemade bread and jam,Annie continued to absorb the roots music of the 60s and 70s and earlier. Folk, Bluegrass , Blues, Folk-rock, and Celtic began to shape her playing and singing. She began playing Mountain Dulcimer after hearing Joni Mitchell’s Blue album, and found it a good accompaniment to her high clear soprano. 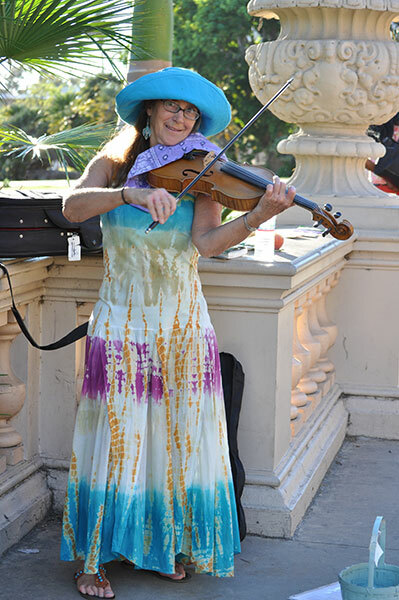 As she heard non-classical fiddlers, she began to incorporate those sounds and techniques into her own playing, developing her own style on her Viola. Two of her strongest influences were Scarlett Rivera’s violin playing on Dylan’s album Desire, and Vassar Clemens fiddling with Jerry Garcia’s project Old and In the Way, and she was inspired to commission a 5-string Viola. She began to write her own songs on Dulcimer and Ukelele. Annie’s greatest joy in being a musician comes from connecting with people’s hearts and souls, helping to inspire her listeners and changing their lives for the better. BOOKS: Think and Grow Rich; Here, There and Everywhere (Geoff Emerick); A NEW EARTH: Awakening To Your Life’s Purpose; Girls Like Us(Sheila Weller); The Artist’s Way, by Julia Cameron; Letting Go:The Pathway of Surrender, by David Hawkins; Outlander, by Diana Gabaldon.